Let us rewind 37 years to the day. 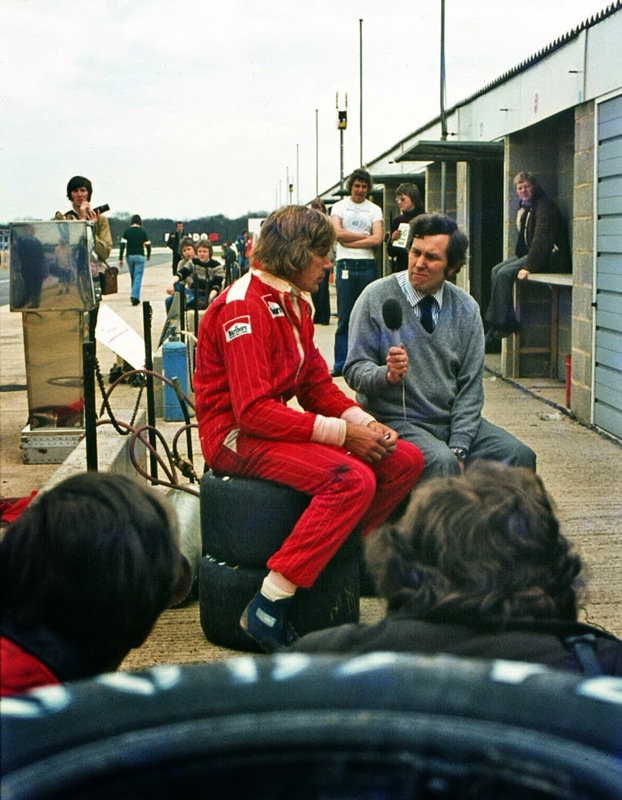 To the 1977 Dutch Grand Prix at fast flowing Zandvoort. As was often so in that campaign the pace-setters were James Hunt in the McLaren and Mario Andretti in the Lotus, the latter especially. Andretti started from pole, but Hunt took the lead off the line. Andretti nevertheless looked easily the faster and swiftly was on Hunt's tail. At Zandvoort the notorious banked hairpin Tarzan bend at the end of the pit straight was about the only realistic passing point, but each time through there Hunt blocked the inside. So fifth time around Andretti stuck it around the outside, getting alongside his rival. But as far as Hunt was concerned that wasn't on and he took his line on the exit like the American didn't exist. The inevitable followed, the pair collided, and Hunt was out on the spot while Andretti continued for a few more laps somehow unscathed before an engine failure put him out too. But all these years on it seems that despite its apparent absurdity it is in fact Hunt's take that has prevailed. 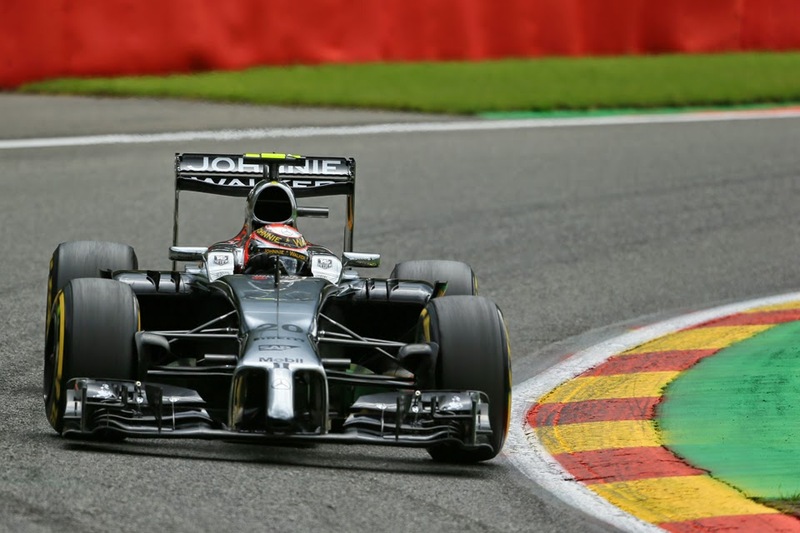 And we had our latest dollop of evidence in the Belgian Grand Prix just passed. It was mainly from Kevin Magnussen. Not in the move that got him his post race penalty, of forcing Alonso off the road going down the Kemmel straight at full pelt, which he was bang to rights for. It was before that when Fernando Alonso (not for the first time) and then Jenson Button sought to pass him on the outside of the Rivage corner. Each time despite being mostly alongside Magnussen forced them clean off the track. This is not to pick on the Dane especially; it's something we see routinely from F1 drivers up and down the field race after race (and we can understand that Magnussen's keen to drive for his future). It's cultural. Those who try to pass on the outside just about every time are run off the road or required to slam on the anchors to avoid contact as a result of their opponent veering sharply - and as far as we can tell wilfully - into them. And almost never is there the merest suggestion that the driver defending their place is doing wrong let alone any indication of steward investigation or sanction in response. 20.5 Manoeuvres liable to hinder other drivers, such as deliberate crowding of a car beyond the edge of the track or any other abnormal change of direction, are not permitted. Not much help there to understand why it's tolerated. Indeed if anything the wording seems to explicitly rule out the sort of moves we saw from Magnussen at Spa and from others routinely before. It does not say that you can crowd a car beyond the edge of the track if the other car's trying to pass on the outside of a turn and you've reached the corner's exit. It seems instead to have somehow become F1's equivalent of the unwritten rule. An accepted practice. Something that's not (or rather is) cricket. You have to wonder why this is. And further you have to wonder if us, the fans, are missing out as a result. Of course we want to see aggressive racing, but should forcing other drivers off track be part of it? Not only does it strike me as crude it also likely is denying us good racing and overtakes. And we have a good supporting example again in the Spa race; therein earlier Alonso exited the pits on Sergio Perez's tail, but come the same Rivage turn he want for the outside on the exit. Perez chose to give him room, and Alonso seized the place on the inside of the following left-hander, in what by common consent was the pass of the race. You also wonder how far the legendary Gilles Villeneuve-Rene Arnoux battle of Dijon in 1979 would have gone had either decided to wipe out the other guy whenever they sought to pass on the outside. They both had plenty of opportunities to do so. All activities have their unwritten rules, but I struggle to understand why this one is so.